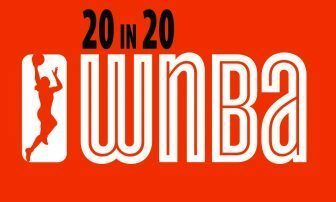 For 20 weeks, to commemorate the WNBA’s 20th season (the MSR having covered each season), the MSR sports section is featuring a column or article on the W in our “20 in 20” series. This week: Overseas we go. Born and raised in Freeport, Bahamas, an island with only three full gyms — two at a high school and one at a YMCA, the 6’-6” Jones as a youngster asked her folk if she could move to the States in order to pursue her goal to play pro ball. As a result, at age 14 she moved in with a host family in the U.S., played high school ball, then matriculated to George Washington University. Jones, who led the nation in rebounds as a GW senior, was selected sixth overall by Los Angeles but later traded on draft night to Connecticut, where she played her rookie season. 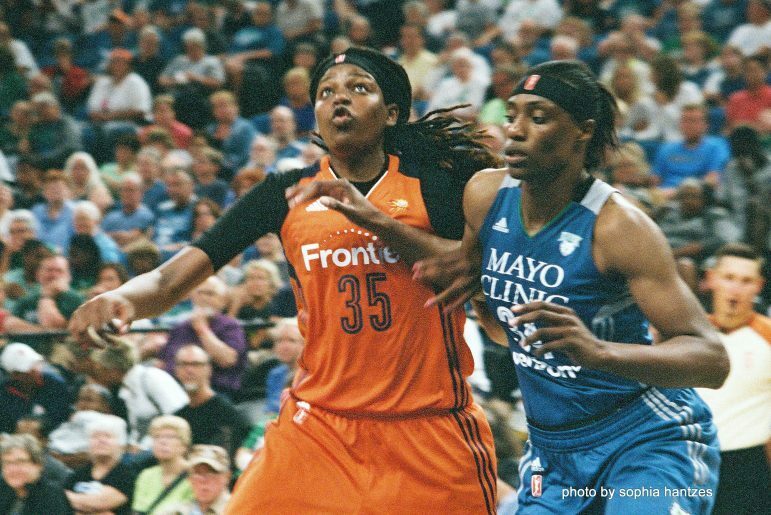 Phoenix’s Brittney Griner is 6’-8” and Minnesota’s Sylvia Fowles is 6’-6” — two of the league’s top centers that the younger Jones must contend with. As Miller points out, “She gets overpowered by the Griners and the Fowles of the world who bother her with their length.” But the coach notes that when his center gets stronger, she will be able to better compete with them. But Jones’ rookie season wasn’t that bad. She led the Sun in blocks and finished third among rookies in that category. Just before the Olympic break, Jones posted the best night in her brief W career against Chicago with her first double-double performance — 20 points, 10 boards, three steals. “The sky’s the limit. We’re very fortunate to have her,” said Miller. “It’s been a decent season,” concluded Jones as she heads overseas, the off-season home for many league players.